The father of a 9-year-old boy accused of bringing a gun to Las Vegas elementary school has been charged in the case. According to the Clark County District Attorney's Office, Bryan Klein, also spelled Bryan Kline, has been charged with one felony count of child abuse, neglect or endangerment, which carries a possible sentence of one to six years in prison. He was also charged with one count of aiding a child in possession of a firearm, a misdemeanor with a possible sentence of up to six months in jail and up to a $1,000 fine. The city of Las Vegas confirms Klein is a corrections officer and has been with the city since January 2017. "In addition to cooperating with Metro police and the District Attorney’s Office, the city is also conducting its own investigation to see if there are any potential violations of city policy." 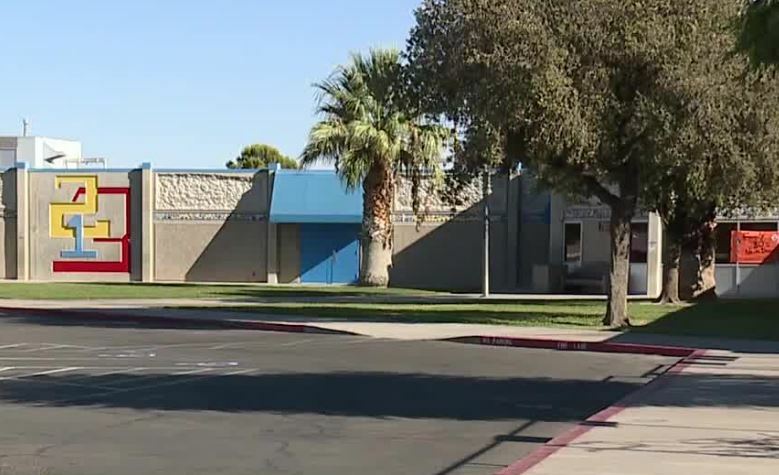 Clark County School District police said on Sept. 19, the boy was found with a loaded .22-caliber handgun at Helen Smith Elementary, located near Antelope Way and Alta Drive. Another student reported it to a teacher. The child was too young to be arrested, so he was taken to the Harbor, a facility for first-time juvenile offenders. DA Steve Wolfson released a statement about the charges.